The museum guard then called reinforcements and escorted Julia-Sophie Dansen and her American friends out of Sun King’s grand apartments and the Palace of Versailles. They could see the guard’s stiffen and momentarily slow their pace but then they re-entered the museum. “Don’t you think that’s a little harsh, Julia-Sophie?” Henry gently tried to calm his host. I wrote this for the What Pegman Saw writing challenge. The idea is to take a Google maps street image and location and use it to inspire the creation of a piece of flash fiction no more than 150 words long. My word count is 150. 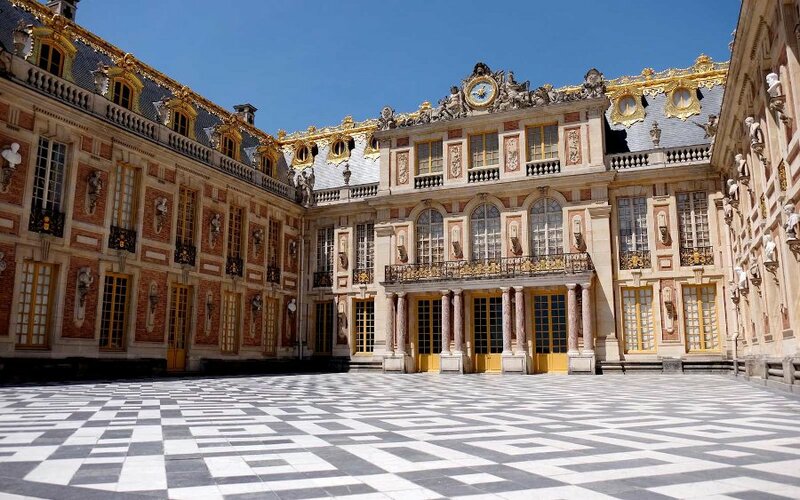 Today, the Pegman takes us to The Palace of Versailles in France. This location has a very rich history making the selection of a specific topic very difficult. Of course I thought of some sort of historical piece, maybe involving time travel, but I’ve done that so many times before. Then I looked up recent news articles about the location and hit the jackpot. I decided to base my tale on a news story published on 31 October 2017 titled Versailles Palace accused of throwing out art historian for ‘commenting on works in English’ to friends . It seems that Marie-Noëlle Grison, a specialist in 18th century French art and junior curator of graphic arts at Amsterdam’s Rijksmuseum was visiting the Sun King’s grand apartments with three “American friends” and was explaining to them the subtleties of brass and tortoise shell marquetry by André-Charles Boulle, the King’s illustrious furniture maker. A guard stopped her saying it was “forbidden” for her to do so stating that there are “guides and audioguides for that” (Oh, and other museums and similar establishments in France are guilty of similar behavior according to the story). He then called security and had Grison and her party ejected (I made up the part about her yelling at them afterward). This whole thing seems pretty unreasonable from my rather limited American perspective but apparently on top of the general admission, the museum charges €7 (£6) per person for a group guide and a private guide costs €15 per person, so perhaps this is a matter of economics and not just whether or not Grison was disturbing other museum patrons. That seems kind of greedy and certainly arrogant to me, so I thought I’d have a little fun teasing the French along with Donald Trump just a bit. The news article certainly did nothing to improve my perception of the French but then again, the average French person might be quite different from museum guards (I can only hope). By the way, this did create a small social media storm on twitter and the museum eventually offered an apology, though from my point of view, a rather half-hearted one. Go figure.